Christmas dinner with family in Delaware. Cousin told me a Cabella's is coming soon to the home of tax-free shopping. Projected groundbreaking is scheduled for 2013 in the Christiana Mall area with opening expected in 2014. Of course by then, the only legal weapons available for sale in Amerika will be pea-shooters and rubber-band guns. With DE's 0% sales tax, it's almost the same as only slightly overpaying in PA! Who am I kidding, I'll probably still stop by. It's going in next to the Christiana mall, the traffic there is already bad and when it opens it'll be a nightmare. For the life of me I don't know why Delaware can't lay out a parking lot like every other state does, they gotta get cute with it and divert you all across the county. But in DE you can OC while driving, if you should be so inclined. I know we (PA residents) can buy long arms at the Dicks on 202 in DE, but I don't know if that's good for anywhere in DE (via atty gen agreement or something) or a "distance from the border" thing. Does anyone know? Would any firearm sale there have to be shipped to a FFL here? You need a Fl or UT carry license. 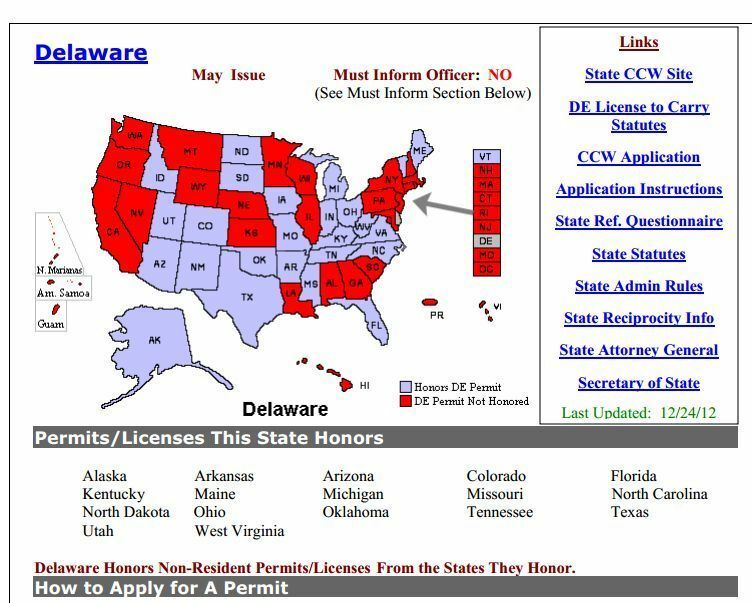 I got a Fl license (in addition to my PA) specifically to carry in Delaware since I'm so close. The 3 slot machine Casinos located in Delaware. Courthouses, police stations, prisons and other detention facilities’ (Title 11 §1256 & §1258). State/National Forest (Del. Regulation 3.400.8.8). Wildlife Management Areas (Del. Regulation 7.8.3.4.1). State Parks (Del. Regulation 7.9000.24.3, enforced by §4704(4)). Wow, tax free cheap crap made in China!